As of this post, The Weekly Paper has 748 views! Thank you to everyone who has participated in making this blog a success. Hoping to break 1000 views by the end of April! Also, a special thank you to everyone who has given me feedback on the blog’s content and my explanations. To lead off this discussion, let’s start right at the beginning with what bacteria and viruses are. 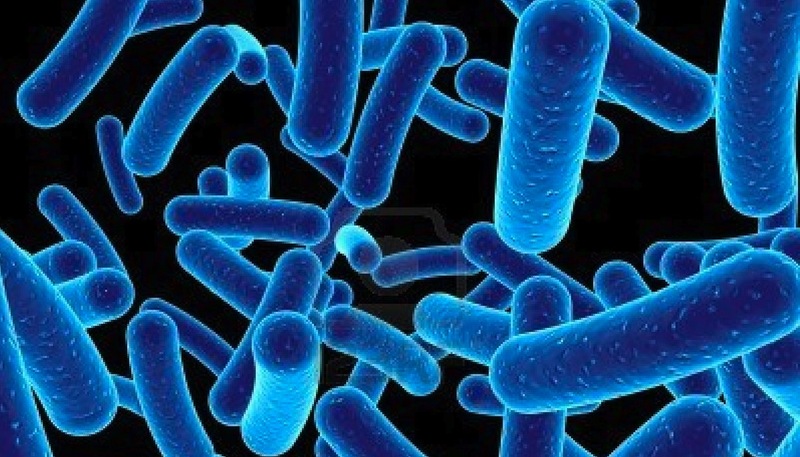 Bacteria are a wide class of organisms and are generally considered the smallest, free-standing lifeforms known. They are able to survive, and reproduce, on their own. All they need is a source of energy and they can take it from there. Generally, the bacteria that concern us are split two different ways. The first division is between those that need oxygen (aerobes) and those that don’t (anaerobes). The second division is between those that are Gram positive and those that are Gram negative. It is not important for the purposes of this discussion to understand what exactly that means or how a Gram stain is performed. However, it is important to know that Gram negative bacteria are negative because they are enveloped in a thick cell wall that prevents the Gram stain from penetrating. This thick wall, which will be discussed in more detail later, makes Gram negative bacteria especially problematic for the body. Viruses, on the other hand, are not considered living at all. They are simply genetic code (DNA or RNA) wrapped in a protein coating that float around looking for their designed target. Viruses can be divided multiple different ways and some are more complex than others, but on the whole they all tend to operate in similar ways: enter the cell, copy their genetic code into the cell’s DNA, and, at one point or another in the case of pathogenic viruses proceed to take over the cell to manufacture new viruses. Thus, viruses rely on living things, either free standing like bacteria or part of a system like a cell in your body, to help them reproduce. Sometimes viruses can infect a cell and stay dormant until the cell becomes stressed, during which the virus will emerge and cause symptoms. Herpes sores are a common example of this. Viruses tend to have very specific targets, but because they lack repair mechanisms are also much more prone to mutations. It is common for viruses to begin in other animals and migrate to humans by way of their rapid mutation. The flu is probably the most well known example of this (ex. bird flu, swine flu, etc.). So, now that we have some background of what bacteria and viruses are, let’s move on to how they make us sick (the process of which is known as pathogenesis). Trillions of bacteria exist on and inside the human body, and are essential to our every day living. They do everything from synthesizing vitamins to breaking down food to preventing other, harmful bacteria from growing. However, these helpful bacteria can be harmful if they get somewhere they’re not supposed to be or their balance with other bacteria in the body is disrupted. Likewise, foreign bacteria from the environment present a constant risk of catastrophic infection.The body has a variety of immune mechanisms, including the skin itself, to prevent them from entering. However, should they enter and evade immediate destruction, an infection ensues. The nature of this infection varies by bacterial species and location in the body, but the damage can come from a few notable sources. Some bacteria produce toxins as a natural byproduct of their life cycle. As they reproduce, they produce more toxin. If left untreated, the toxins can build up and cause harm or even death by destroying the surrounding tissues. Necrotizing fasciitis (so called “flesh eating” disease) is caused by bacterial toxins damaging the skin and underlying tissues. Another source of damage is the immune response itself. Bacterial meningitis, which is an infection of the lining of the brain and/or spinal cord, causes inflammation of the lining (the “meninges”). Inflammation of these tissues in such a tight space alone can cause significant damage to the tissues they surround. Last is a mechanism largely unique to Gram negative bacteria. These bacteria have a thick cell wall that is made of molecules that the body considers dangerous (known as lipopolysaccharides). When the bacteria are destroyed, pieces of this layer remain toxic and can prompt a strong immune response. If they enter the blood stream, they can produce a strong response there, possibly causing the dangerous condition known as endotoxic shock. This thick wall also protects the bacteria from some immune activity and antibiotics. Viruses infect the host cell, as described before, by entering it and taking it over. However, this does not mean that the cell, and the body as a whole, go down without a fight. Viruses elicit a very unique immune system product known as interferons. Cells undergoing viral infection create interferons in response to the attack. As the cell is being taken over, these interferons perform many functions, such as increasing its MHC complex activity (see the previous post on cancer biology for an explanation of MHC complexes) so that the immune system can better identify the viral proteins and destroy them. Once the cell dies and the new viruses are released, interferons from the host cell are also released as a way of both warning the surrounding cells and directly activating immune cells. As one might imagine, this is quite a strong immune response, and that is the reason illnesses of viral origin tend to be different in terms of ferocity, duration, and symtoms than their bacterial counterparts. Because bacteria and viruses are clearly different in just about every aspect of pathogenesis, bacterial and viral infections are naturally treated quite differently. It is common knowledge that bacterial infections are treated by antibiotics, but most people don’t know that different antibiotics work for Gram negative and Gram positive bacteria. Some antibiotics are considered “broad spectrum” (works for both), but normally the type of organism is important in its effective treatment. Sadly, often figuring out the type of bacteria responsible for common ailments is prohibitively expensive and thus broader treatments are prescribed. This has led to a wide variety of unintended consequences, from dangerous infections (due to unbalancing healthy bacteria in places like the gut) to resistance to antibiotics in a variety of species. Antibiotics work by attacking some element of bacterial development, reproduction, or metabolism. For example, penicillin prevents the formation of bacterial cell walls in Gram negative bacteria and ciprofloxacin (the popular antibiotic Cipro, of anthrax scare fame) is a broad spectrum antibiotic that prevents bacterial DNA from taking its proper shape after replication. Many of these mechanisms are unique to bacteria and thus have minimal impact on human cells, though some are shared or similar enough to potentially cause harmful side effects. Antibiotics can have two general levels of activity, bactericidal and bacteriostatic. The former involves actual destruction of bacteria, while the latter simply prevents existing bacteria from reproducing. Antiviral medication likewise attacks viral reproduction in all of its stages. Oseltamivir (the famous Tamiflu) acts by preventing the newly minted influenza cells from budding off of the host cell. Anti-retroviral drugs, which are used to treat HIV, run the gamut, from preventing HIV’s entry into the cell to blocking its ability to convert and integrate its genetic code to preventing it from gaining a full protein coat. Antivirals tend to skirt much closer to human biology (given that viruses use the human cell to replicate) than antibiotics and thus can have stronger side effects. They also normally do not kill existing viruses, but instead prevent their replication. Hope this helps you better understand what’s going on when you get sick. Thank you for the question, Taylor! For anyone who wants to submit a question, feel free to do so at the “Submit Your Question” tab above. Till next time, hang loose.